As inevitably as the sun rising tomorrow, we have the news that high-definition video players and recorders are set to become cheaper before long. Sharp Japan has announced new, smaller blue lasers . 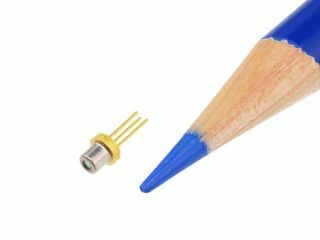 Manufacturing samples of the 3.3mm-diameter GH04020A4G blue laser will be available in bulk to HD TV and Blu-ray makers from mid-June for ¥12,000 (£50) each. We expect to see those firms that wish to use them long-term cranking out machines early next year and forcing prices down within a year or so. However, as both next-generation high-definition formats use blue lasers, the availability of cheaper components implies absolutely nothing for us confused consumers wondering which camp to join . As always, watch this space.